A little bit about Team SSF and the people that help make this site possible! I have been sea fishing since the age of 6 and have belonged to various clubs in Sussex and Kent so I have have plenty of match fishing Knowledge (although still learning everyday). 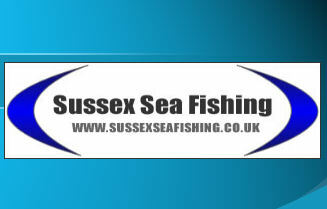 I set up this site in 2006 to benefit all anglers regardless of whether they are veterans or newcomers. I just wanted to pass on some of the knowledge that has been given to me in the past to create a useful resource for sea anglers to use, hopefully putting people onto the fish and keep them updated with regular catch report, advice and news etc. Favourite location: Newhaven East arm because it can be fished in almost all conditions and you can catch all year round using a variety of methods targeting a range of fish. Favourite fish: I am crazy about catching Smoothhounds (pic above). Pound for pound they are one of the best fighters and the adrenaline rush of the bites are amazing. Favourite location: Brighton Marina East arm because he knows it like the back of his hand. Jay Bradley (Fishing buddy and report writer): 15 years sea fishing experience, fished for clubs like the porpoises but now pleasure fishes and specimen hunts. He is into his night fishing sessions and has had some really good catches through his dedication, including a session where 12 good sized Bass were landed from Seaford in a night session. This year he has greatly improved his casting to a respectable distance as well, which has really paid off for him and has helped improve his catches. Favourite Fish: Bass although i think you will find that he is now becoming a cod lover who spends many a nightb on dark beaches across the southcoast in persuit of the beasts.